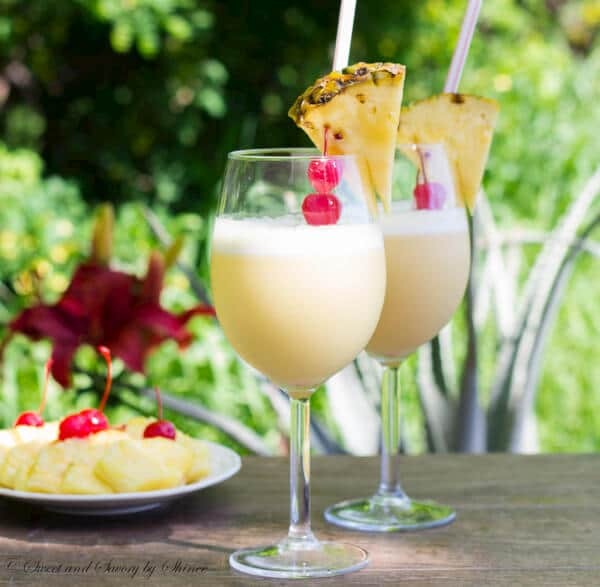 This Pina Colada with splash of orange juice is such a treat and will sure please your guests at dinner party! If you follow me on Instagram or Facebook, you know where I am now. It’s not by a fancy poolside, not even a beautiful beach resort. I’m visiting my family in Mongolia. Lots of fun times though. 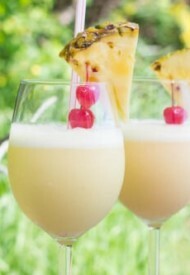 Speaking of vacations, pina colada always reminds me of a vacation time. 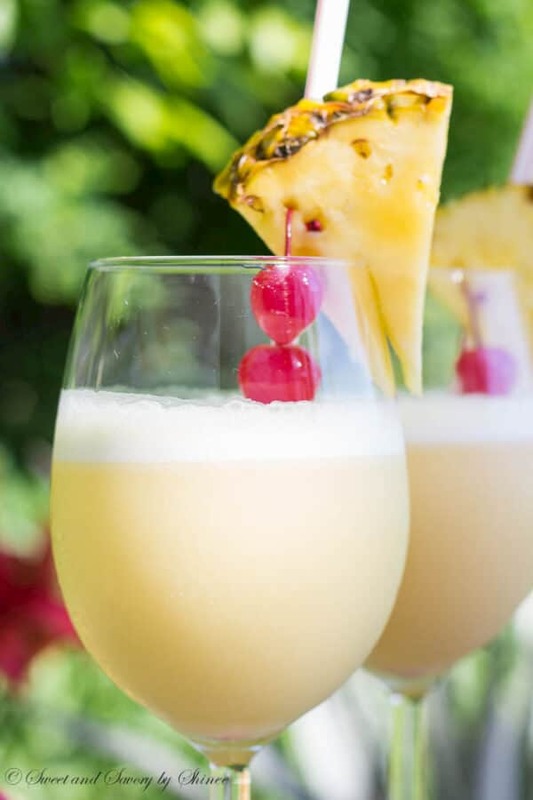 It’s one of my favorite drinks, as it has two of my favorites: pineapple and coconut. 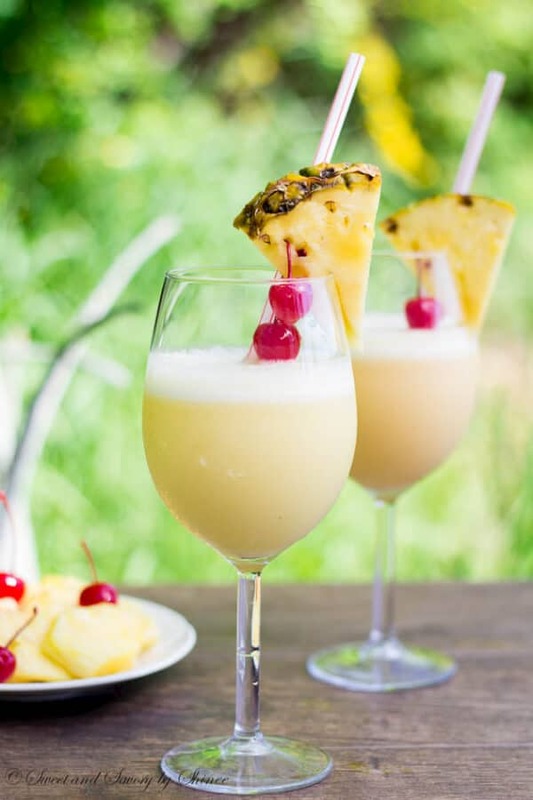 This is the classic pina colada we all know and love, but a notch better. The secret is a little bit of orange juice. 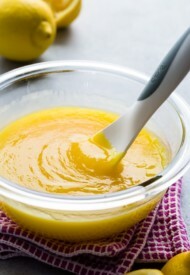 Last winter, I learned that orange juice and coconut is a great combination when I made this smoothie. My instincts were right that OJ will add a nice flavor boost to our traditional pina colada without altering the classic flavor. Just a few words about cream of coconut. Don’t confuse it with coconut cream, or coconut milk. They are all different stuff. Coconut milk is liquid and made of shredded coconut and water. Coconut cream is thick and basically concentrated form of coconut milk. Cream of coconut is almost sweetened coconut cream, but specifically made for desserts and mixed drinks. You can find it at any liquor store. 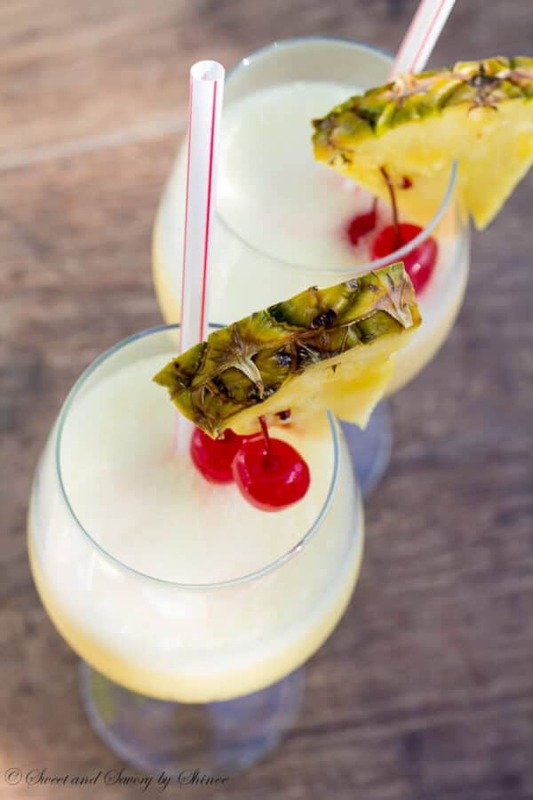 Whether you’re having a company over, or relaxing by poolside or in front of your TV, make this delicious pina colada for a little more special evening. Just one sip will take you to a tropical paradise, even if it’s just in your head. Garnish with pineapple slices and maraschino cherries, if desired, and serve immediately. 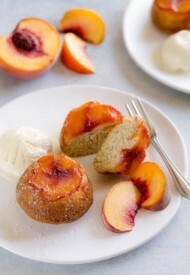 *Cream of coconut is not coconut cream, or coconut milk. (Please read the post for detailed explanation of their differences.) Your best bet is to look for it in the liquor store. Beautiful Pictures! 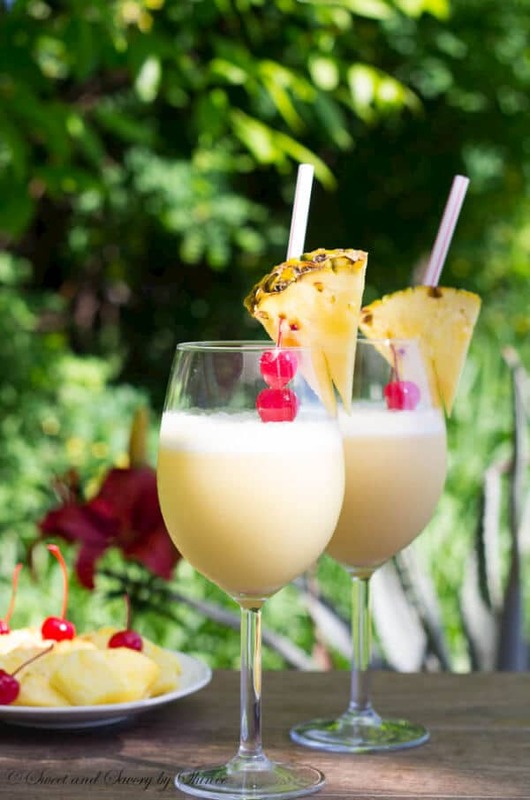 I love pina coladas! Perfect poolside or beach drink. Thanks for sharing! Stopping by from The Weekend re-Treat! Agreed! It’s the best summer drink. 🙂 Thank you, Alexis!